The governor of Iran’s southwestern province of Khuzestan said a major dam on the Karkhe river has overflown and local residents in a number of cities and villages, including Soosangerd, have been ordered to leave their homes. In comments on Monday, Gholamreza Shariati said while the inflow and outflow of water at the Dez dam have declined and the situation is under control, the other major dam on the Karkhe river has overflown. He said an evacuation order has been issued for people living in the towns of Soosangerd, Bostan, Rafee’, Koot Seyed Naeem, Abu Humaydha and Hamidiya. It is necessary for women, children, and the elderly to leave those areas, the governor stressed, saying young people can stay and protect the cities by making flood barriers. Thousands of people living near the Karkhe and Dez rivers in Khuzestan have left their houses in recent days. 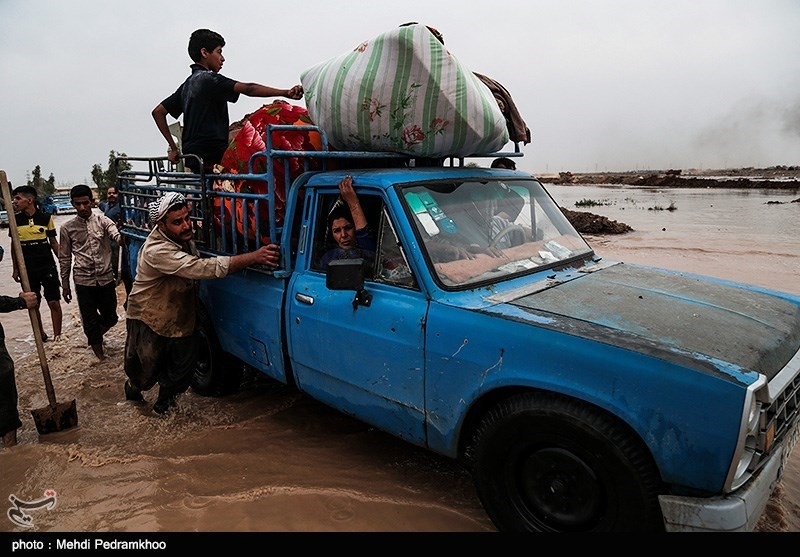 Record spring rainfall that has battered Iran in the past weeks caused serious flooding in many areas, mainly the provinces of Golestan, Lorestan, Khuzestan, Fars and Ilam. The death toll from the floods has surpassed 70, while the highest number of casualties occurred in the province of Fars with 21 deaths. Meanwhile, the Army Ground Force, the Islamic Revolution Guards Corps (IRGC), and Basij have deployed forces, heavy military machinery, aircraft and boats to the disaster zones.